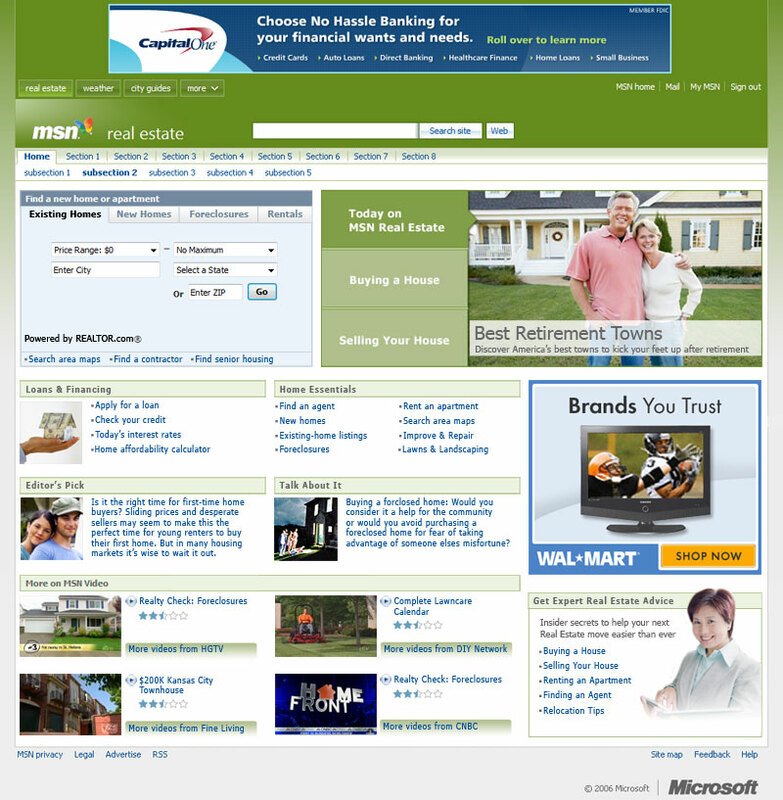 While at MSN, my team was responsible for the MSN Real Estate channel among four others. As one of our major projects, we were responsible for the channel re-design. Below is a an early phase mock-up I was responsible for. My goal was to provide easy points of access to key sections of the channel, including the property search feature, "Buying a Home" and "Selling a Home sections. Entry points to other key areas of the site round out the content below.